Having a definite quality management system, we are regarded as the noteworthy manufacturer of an extensive gamut of Jet Diffusers. 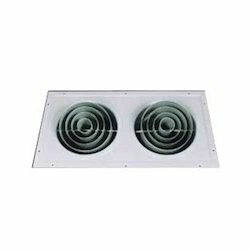 We are one of the well-distinguished companies in the market that are offering HVAC Jet Diffuser. - Circular multi-cone jet diffuser for supplying air to large areas. - The diffuser's throw and distribution pattern are adjustable. - Manufactured from aluminium, powder painted white. - Fixing: with screws or pop rivets to round duct or combined with a mounting plate. We are offering Jet Air Diffuser to our clients. We offer TMSUD Tank Mounted Diffuser to our clients. 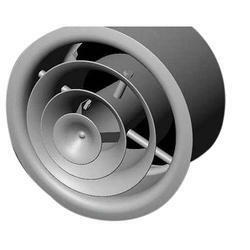 Being one of the trusted organizations in the market, we are engaged in providing a wide range of Ventilation Ball Spout Jet Air Diffuser. We have trusted names in the industry in offering a wide range of Jet Air Diffuser. Offered products can be made available in bulk quantities.